Rodal Heating - Central Heating Engineer, Fireplaces/Stoves based in Birmingham, West Midlands. Rodal Heating has been operating as a Sole Trader business since 2012 in Birmingham. 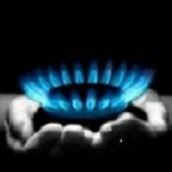 Having been trained at the prestigious British Gas academy I fulfilled my role in the field and graduated to Technical engineer. I have 15 years’ experience dealing with problems right across the spectrum on Boilers, Gas Fires, Warm Air Units and of course, Central Heating issues. I offer superb customer Service coupled with diligence. This engenders trust, with trust Customers always return and customer retention is imperative to Rodal Heating. Whether it is an Annual Service, Breakdown or a Boiler Installation, Rodal Heating can offer a comprehensive competitive service with a genuine care. Rodal heating is now offering Ground Source Heat Pump Installation in collaboration with Kensa Heat Pumps, a British company offering Green Technology, saving on running costs long term. Your enquiries are welcome and very important to me so please do contact me on the number above or via the website, I look forward to hearing from you.